Over 24 of the best humorous stories ever written. The stories are subtle; some are whimsical, others maliciously funny. The narrator has a lovely voice and accent. 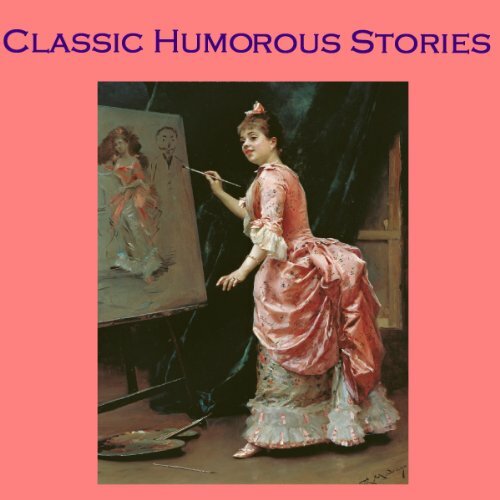 Would you listen to Classic Humorous Stories again? Why? I already have. I fall asleep to these and so miss a lot of parts. It's kind of fun going back through them finding "new" story parts and even stories I'd missed while asleep. To do the narrator justice, she does read well and create distinguishable characters. i simply didn't find her soothing to listen to. Love the variation and that these were not horror stories though a few were borderline but even those were tongue-in-cheek. What aspect of Cathy Dobson’s performance would you have changed? She's very talented. I guess I got tired of listening to her voice in every story. I felt different emotions for each story was very different. I would love another book of humorous stories but with various narrators or perhaps a less jarring narrator voice. perhaps styles have changed greatly, but some of the stories are only mlldly amusing at best, and the stories are strangely repetitive. The chapters aren't labeled, so there is no why to figure out which story is by which writer, unless you play them. I usually prefer british narrators, but there is something odd hearing mark twain or ambrose bierce w/ an american accent. What disappointed you about Classic Humorous Stories? "Classic" here evidently means "public domain" and nearly all are British to boot. The Mark Twain stories, and those by Ambrose Bierce (particularly "Dog Oil") really stood out for me. My fault for assuming that "Classic" meant "Famous," and not looking at the table of contents before buying. Not humorous in the least. Has Classic Humorous Stories put you off other books in this genre? Who might you have cast as narrator instead of Cathy Dobson? Someone that didn't sound like a digital construct. If you could play editor, what scene or scenes would you have cut from Classic Humorous Stories? I listened to 3/4 of part one and there is nothing I would keep. Waste of my credit for trying this service. May I have another? I won't be listening to any more of this and am happy to undownload it.